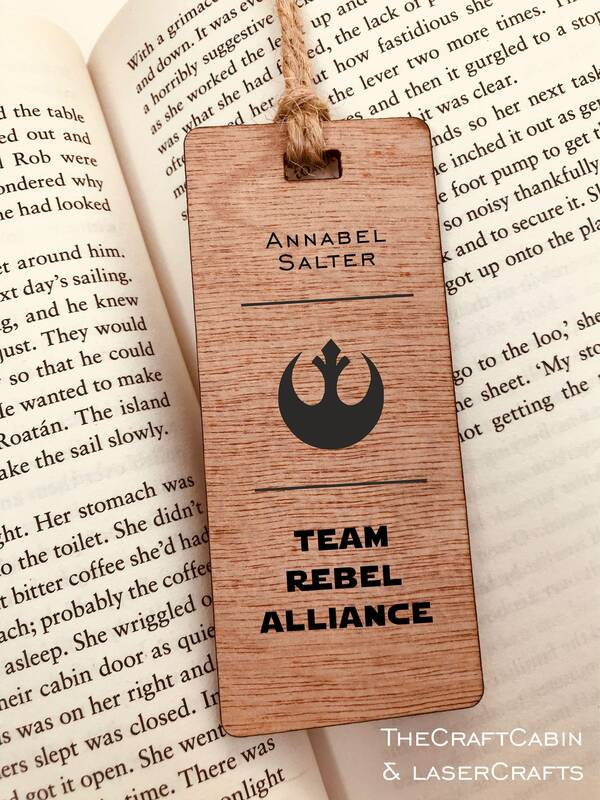 Personalised Star Wars Wooden Bookmark. Team Rebel Alliance with Name for Special Gift For Him/Her, Birthday, Christmas, Valentines. 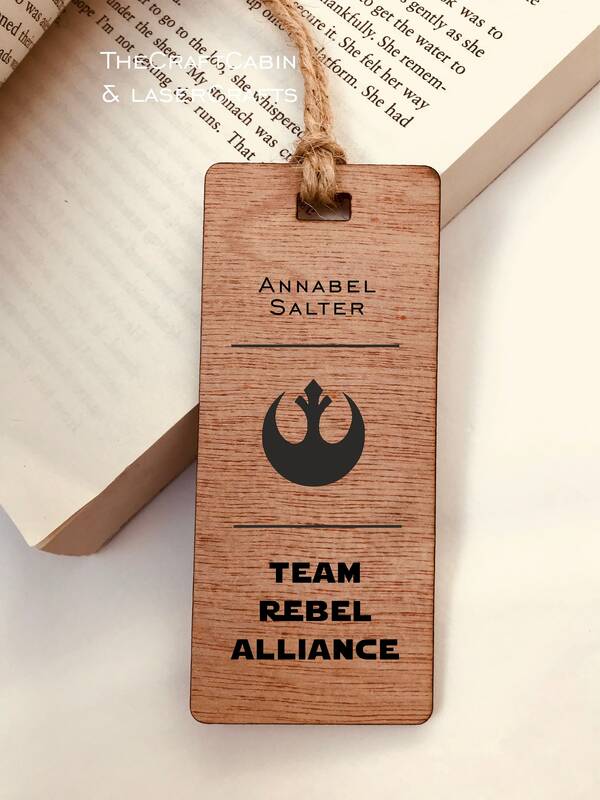 Personalised Wooden Star Wars Bookmark, Team Rebel Alliance - Engraved With Name for Special Gift. Perfect Birthday, Christmas, Valentines. · Personalised with your own name at the base of bookmark. ✦ Name - Please Type Exact Text You Require. Recipient loves it. Quick delivery, lovely item. Will buy from again.